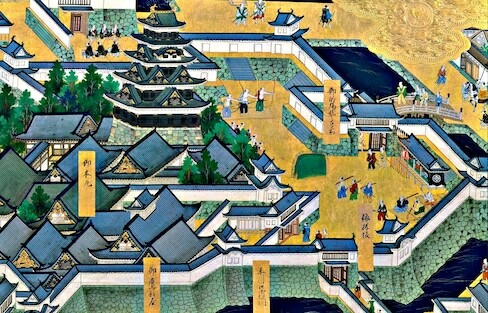 The castles dotting Japan's landscape no longer host battles and political upheavals, but they're not boring relics. Many were the backdrop to some pretty unbelievable stories! Two of Japan's scariest spirits take a break from haunting houses to participate in a ceremonial first pitch. Would You Like Some Burger with Your Bacon? A whopping 1,050 strips of bacon are sandwiched between two buns on this customized Burger King Whopper! 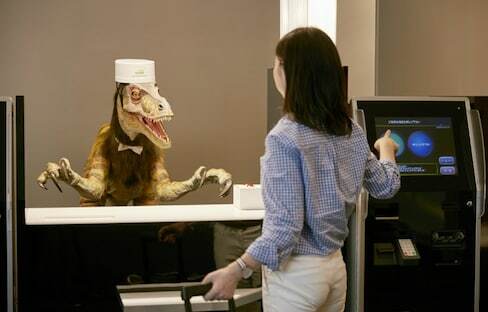 The Henn-na Hotel has garnered global interest because robots handle many of its services.The hotel’s management concept is also designed to trim labor costs and conserve energy as well! What some find strange to eat, others see as a typical delicious meal! These traffic cones are not only a sign of danger ahead, but will also protect you on your journey. If you live overseas and find yourself captivated by the intrigue of Japan, you’re certainly not alone. But sometimes what you think you know about Japan might not match up with reality! Sssssip With Care At These 4 Reptile Cafés! In a country where sipping tea with cats and boozing it up with penguins aren’t (so) out of the ordinary, it shouldn’t come as a surprise that coffee with reptiles is also now an option. This Café Isn't for the Faint of Heart! If the idea of an eyeball panna cotta and a sundae topped with maggots doesn't have you screaming in terror, the stomach-churning 'Shojo Tsubaki' café might be up your alley. Don't Mess With this Office Worker! Don't give this office worker a stack of work to do late in the day, lest she unleash her secret weapon. Japan's First Hedgehog Café has Arrived! You can now add hedgehogs to the list of cute animals to visit on your next trip to the Japanese capital. As much fun as it is to gawk at Tokyo's shops and sky rises, it’s just as much fun to stop into a themed café to wet your whistle and enjoy an immaculately presented bite to eat. This Japanese fashion designer gets rather creative with her bags and scarfs, creating bold fashion statements! 10 Things That'll Surprise You in Japan! Are these normal Japanese things weird to you? Here are the 10 things that might surprise you when you visit Japan for the first time. Tired of boring old smartphone stands? Why not kick it up a notch with Street Fighter II characters that battle and hold your smartphone? Japan's cute mascots, often based on regional animals or foods, are known as 'yurukyara.' You've probably seen these fun and cuddly characters, but where did the idea come from? Check out some of the best offbeat experiences available in Tokyo to see the city from a different perspective. Why exhaust yourself blowing on your noodles to cool down your soup when you can build your own girlfriend to do it for you? Hiroyuki Takei's manga 'Nekogahara: Stray Cat Samurai' follows a one-eyed cat samurai as he 'cuts through insolence.' The real-life version apparently cuts through split infinitives.